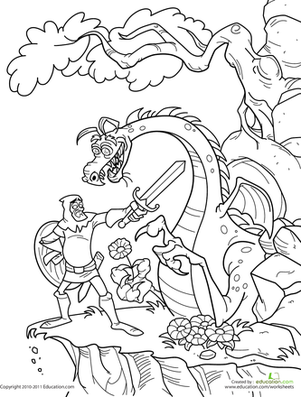 This knight and dragon coloring page displays an exciting dragon fight between two ferocious fighters! But oh no! Our brave knight has come to the edge of a cliff, and it looks like the battle is nearing the end. What's going to happen next? What kid doesn't love a good dragon fight...especially one that'll keep her riveted to her seat as she colors! In Chinese culture, the dragon is a symbol of power and good luck. 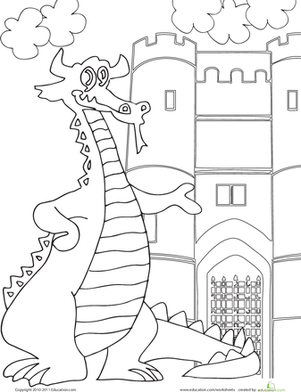 If you colour in this Chinese dragon coloring page, maybe you'll find a little good fortune! 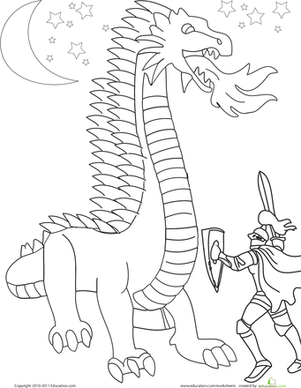 If your first grader loves fiery dragons, this coloring page is sure to keep him entertained. 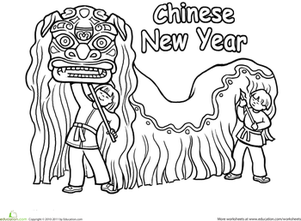 Celebrate Chinese New Year with this dragon dance coloring page. 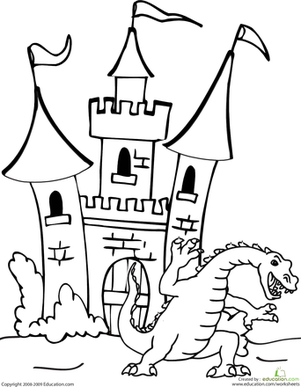 Does your child love stories with dragons and fighting knights? Let him write his own! Have a miniature knight under your command with this cube craft activity! With the help of a parent, cut each part of the knight, fold it, and glue the tabs. Get your kid ready for a cool New Year's masquerade with a fun coloring dragon mask. Lords and ladies, create your very own knight in shining armor with this mix and match paper doll set! Has your child ever wanted a ferocious dragon of his own? Take to the skies with this dragon mobile pattern! A coloring sheet of a Komodo Dragon, made for year 2 science or art students.